April is National Youth Sports Safety Month, a pivotal time for highlighting the great work being done across the country in the name of injury prevention. Earlier this month, we covered the controversy surrounding youth tackle football in light of new findings about concussions and brain development issues sustained during play. But even as the larger issue of youth tackle football’s long-term sustainability (both culturally and in a legal sense) continues to develop, the fact remains that the sport is not going to disappear any time soon. As it now stands, the “majority of people playing football are not in the NFL or collegiate-level, but are actually youth players under the age of 14.” That means it is incumbent on parents, coaches, leagues, and sports equipment developers to do whatever they can to reduce the risk of head trauma. 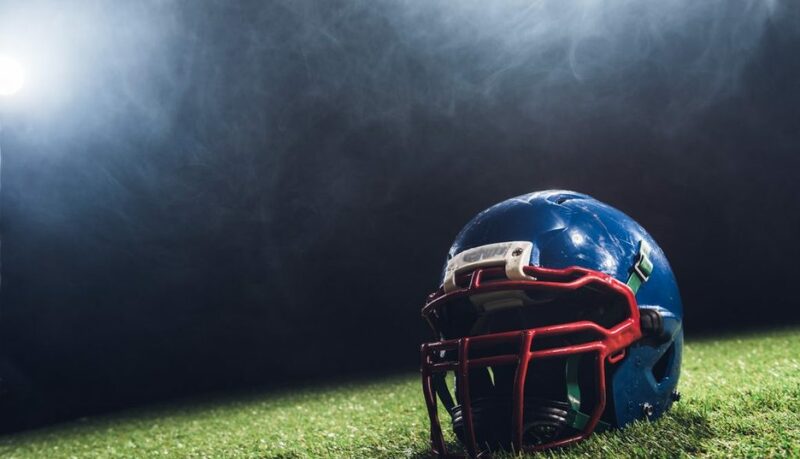 Thankfully, new youth football helmet ratings are providing consumers with information that can help them make informed decisions based on these concerns. Recently, the Virginia Tech Helmet Lab, which has long been heralded for work on helmets for athletes at the varsity level and across a variety of sports (including hockey, cycling and more), turned its attention to younger players. Rowson has led an NIH-funded study on head-impact exposure in youth football for the past four years—the largest such study to date. Using sensors embedded in the helmets of players, they’ve been able to capture fresh data about the force of impact to players’ heads, as well as frequency and location. By cross-referencing their findings with concussion diagnoses and cognitive testing, they’ve been able to determine which kinds of impact were more often responsible or more likely to cause concussions. Using this data, they developed new methods by which to test youth football helmets. They then tested every helmet on the market. Those helmets which were found to effectively reduce head acceleration during impact earned higher scores. The Helmet Lab uses a star ratings system, with 5 stars being the highest an individual helmet can earn. Seven helmet models tested earned that coveted 5-star rating, with every company having at least one such model in their line. All other helmets tested earned 3-4 stars. The Virginia Tech Helmet Lab has been known to spur innovation in sport’s manufacturing through their testing and ratings system in the past. Hopefully, the ability for consumers to compare the safety ratings of youth football helmets will inspire manufacturers to invest in better technology and materials in order to raise the overall safety quality of their products. This could lead to improved standards and a greater prioritizing for safety across the entire industry.